The main point is not to win but to take part. On July 9 there were talks of the delegation of the Patriarchate of Constantinople with Patriarch of Moscow and All Russia Kirill. An official message of the ROC website about these negotiations, key for the process of granting Tomos on SLC is very laconic. The official website of the Patriarchate of Constantinople did not say anything at all. No statements, especially joint. No press conferences – even separate ones. No statements for the media. What could this secrecy mean? To understand this, it is necessary to pay attention to the composition of delegations at the talks. On the part of Phanar, these are Metropolitans Emmanuel of France and and Bartholomew of Smyrna. These hierarchs already negotiated with Patriarch Kirill in Moscow five years ago as part of celebrations on the occasion of the 1025th anniversary of the Baptism of Rus. Here are the words uttered by Metropolitan Emmanuel to the ROC, "There have always been love relations and a spirit of mutual understanding between us, and although some difficulties have sometimes occurred in our relations, God's wisdom has always triumphed in such moments." Here are the words addressed to the Department of External Church Relations (DECR) of the ROC, "I would say that our cooperation is conducted not only in the language of diplomacy, but in the language of truth. And on this basis, we can move forward in addressing various difficulties that arise." Patriarch Kirill said the following, "You are very close to me, I cannot call you my brother, but I would call you my father. We greatly respect and love you and recognize your special role in the life of the Orthodox Church." After the negotiations held in Moscow in 2013, His Holiness Patriarch Kirill awarded Metropolitan Emmanuel if France with the Order of St. Vladimir the Equal to the Apostle (II Degree) and Archimandrite (at that time) Bartholomew – with the Order of St. Prince Vladimir Equal-to-the-Apostles (III degree). 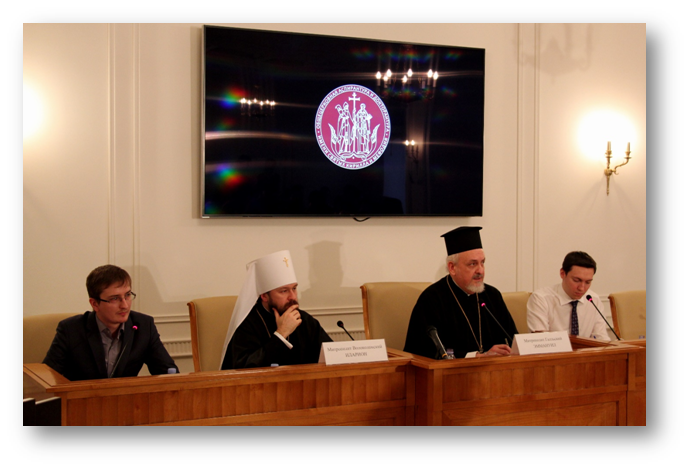 Metropolitan Emmanuel visited Moscow more than once. Here, for example, he speaks at a seminar at the All-Church post-graduate and doctoral studies. 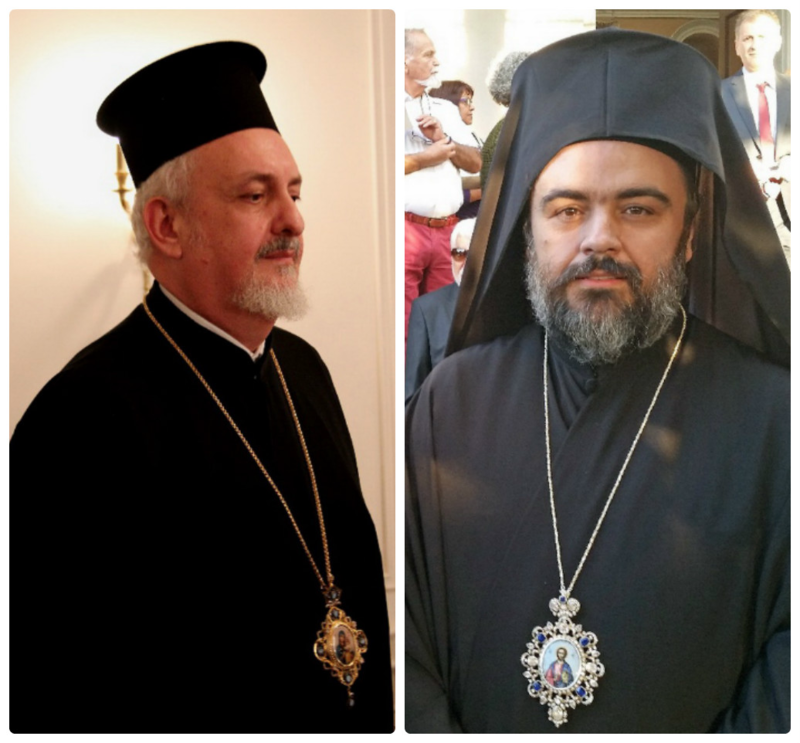 True though, after this there was a conflict between the ROC and Constantinople over the Cretan Council, but nevertheless, both Metropolitan Emmanuel and Metropolitan Bartholomew are the hierarchs whom Moscow welcomes. Metropolitan Emmanuel participated in the talks at Phanar with the delegation of the UOC on June 23 and after their end gave a short interview in which he expressed solidarity with the UOC and an understanding of its current problems. The fact that namely this hierarch was sent to Moscow can be regarded as a friendly signal to the ROC. After all, Phanar could have sent to Moscow another, no less influential Constantinopolitan hierarch – Metropolitan Elpidophoros of Prussia, who is one of the most radical supporters of the hegemony of the Patriarchate of Constantinople in the Orthodox world and, accordingly, the most irreconcilable critic of the ROC. In a recent interview with the Internet resource "Orthodoxy and the World," he spoke extremely harshly about the ROC and allowed himself a number of very controversial statements, for example: "Granting autocephaly to the Local Church has for almost 1350 years been subject to the exclusive jurisdiction and competence of the Ecumenical Patriarch and the Holy Synod of the Church of Constantinople." But he was not sent to Moscow. 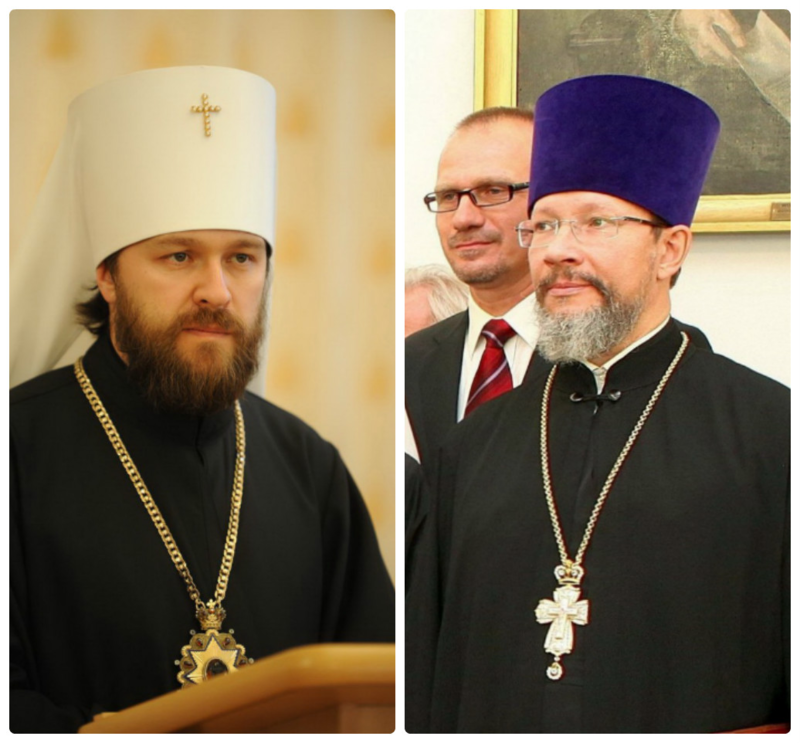 On the part of the ROC, Patriarch Kirill himself, the DECR chairman Metropolitan Hilarion of Volokolam, and the DECR deputy chairman Protopriest Nikolay Balashov, participated in the negotiations. First, it is absolutely impossible to legalize the split! Secondly, it is absolutely impossible to grant Tomos in conditions when the Ukrainian Orthodox Church does not ask this! That is, the Moscow Patriarchate warns Constantinople about how serious the consequences of possible non-canonical actions on its part will be. And it does this not so much because the ROC allegedly will lose part of its canonical territory, but because these possible actions of Phanar will obviously contradict the sacred canons and common sense to the extent that they will place Constantinople itself in opposition to the entire Orthodox world. As for Protopriest Nikolay Balashov, this person has been a member of the Council of the Imperial Orthodox Palestinian Society since 2007, which means that he is familiar with the "subtleties of the East". Nikolay Balashov is an experienced church diplomat. He participated in successful negotiations on reunification with the Russian Orthodox Church Outside of Russia, was awarded orders and medals of various Local Orthodox Churches, and therefore, he keeps in touch with their representatives and knows their point of view. Now that we know who participated in the negotiations in Moscow, we will try to answer the questions posed in the title of the article. What did Phanariots arrive with? They arrived with the fact that they had promised Petro Poroshenko and other forces interested in the Tomos to do everything possible to bestow this Tomos. That is, since they promised to hold consultations on this issue with the Local Orthodox Churches – they are holding these consultations. Could they agree on something with Patriarch Kirill – no, they could not! They did not even seek this. It can hardly be said seriously that they persuaded the Patriarch of all Rus to give his consent to granting the Tomos to an unknown, non-existent church structure. They just voiced their thoughts. For Phanar, the very fact of holding consultations with the ROC is necessary. In simple terms, it is not the result that matters, but the process itself. Patriarch Kirill and representatives of the DECR also voiced their long-known position. Perhaps, some additional warnings were sent to Constantinople, which have not yet been announced in the press.